During my stay in Oxfordshire last weekend, I made lots of great foodie discoveries, alongside absorbing all of the culture. One of my favourites I discovered by accident about half an hour before I set off for home. 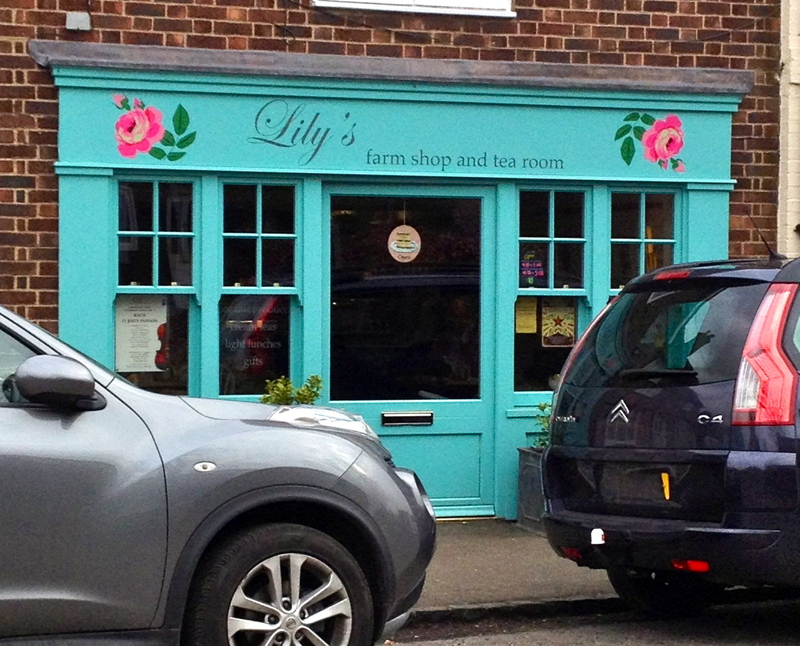 Lily’s Farm Shop & Tea Room on the quaint little high street of Dorchester-on-Thames is quite simply delightful. My sister and I had been wandering around the village having a last look at Dorchester Abbey before we set off for home and were hoping to stop by the Abbey’s tea rooms for one last treat and were very disappointed to find it closed. About to head home with empty bellies my sister spotted another poster in their window for Lily’s Tea Room so we set off to find it. Less than five minutes later we found the pretty blue shop front and wondered how we’d managed to miss it for the two days we’d been staying there. I instantly fell in love with the shop as soon as we walked in. An overload of chintzy decor a selection of homemade produce, dresser full of pretty gifts for sale and a counter of delicious looking cakes… what more could a girl ask for. 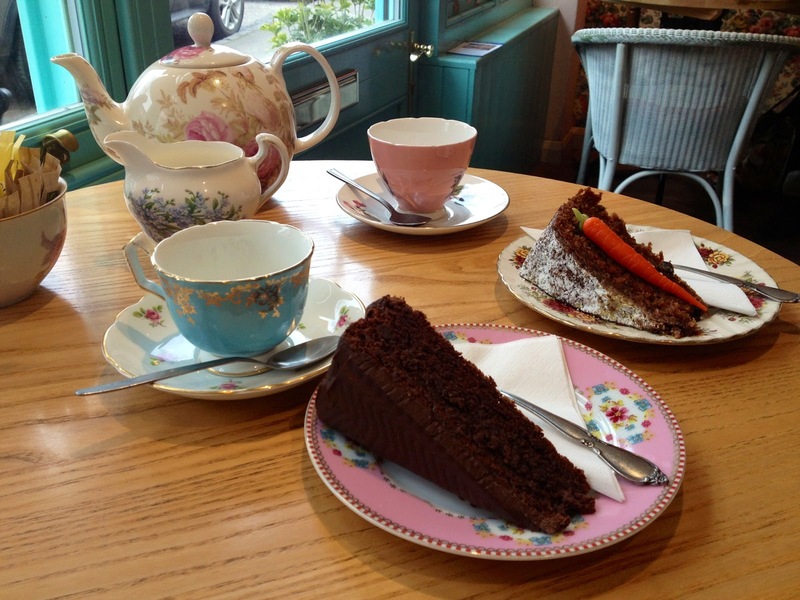 We ordered two teas and I had a slice of sacher torte while Amy had some carrot cake and it all arrived on the most delightful mismatched selection of floral crockery. 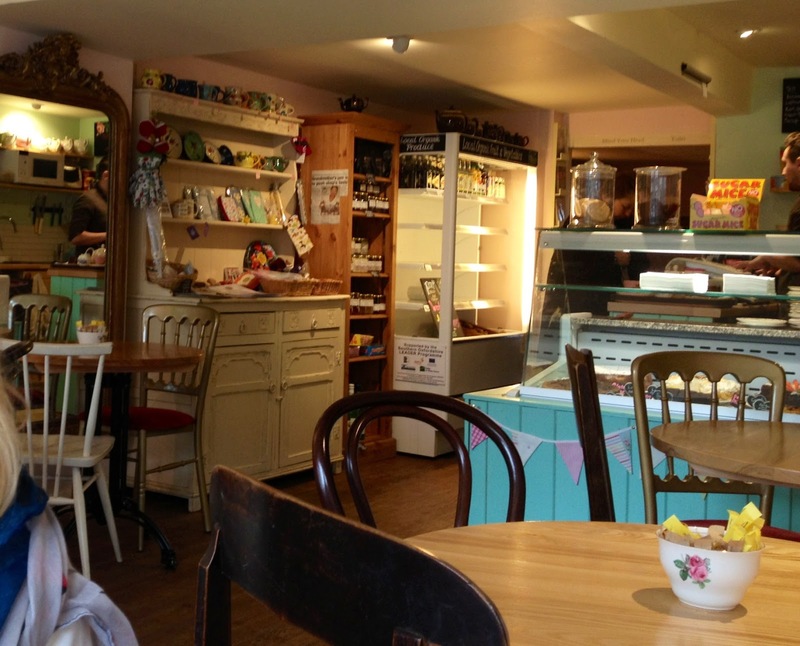 The cakes and the tea were lovely, an excellent way to finish off our weekend away! 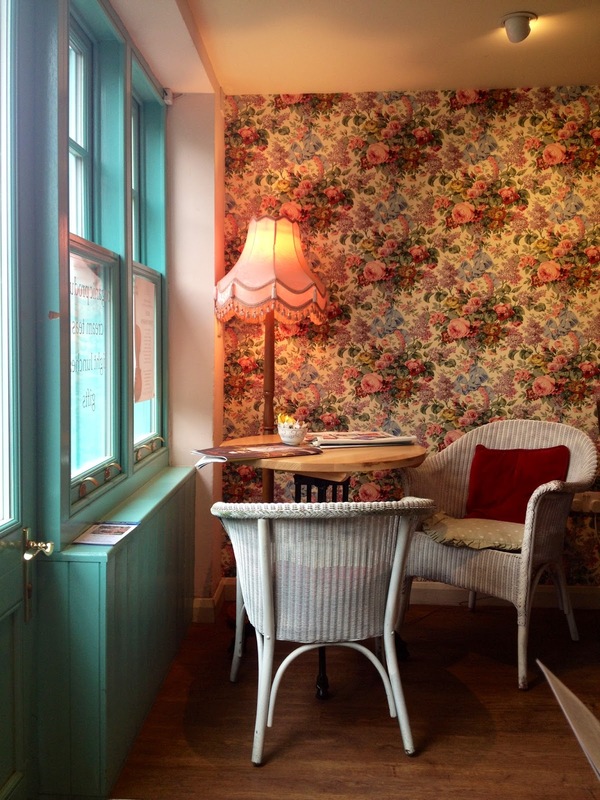 If this was nearer by you would definitely find me in here on a Sunday afternoon with a paper or a book, I’d love to have something like this in my village. If I’m ever back in Oxfordshire or passing through I’d find it difficult not to come and stop by this beautiful little shop! 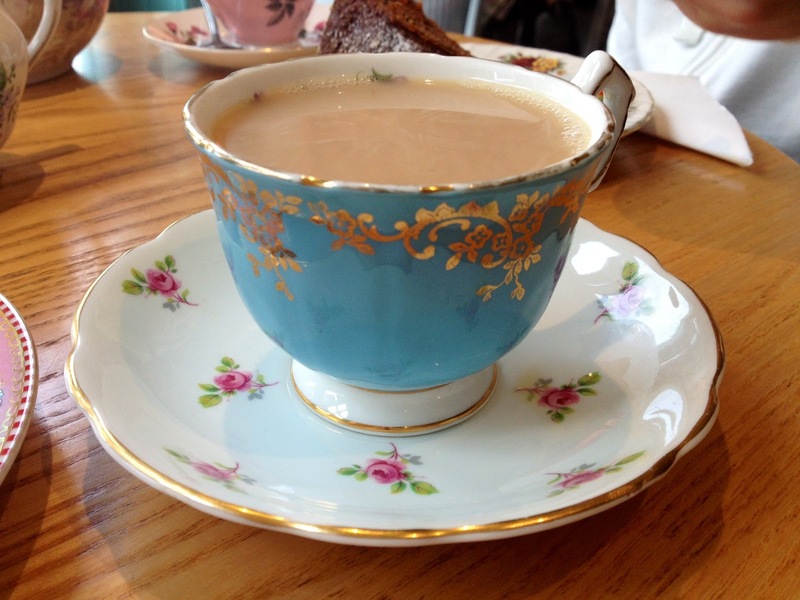 The prettiest cup of tea I’ve ever seen!